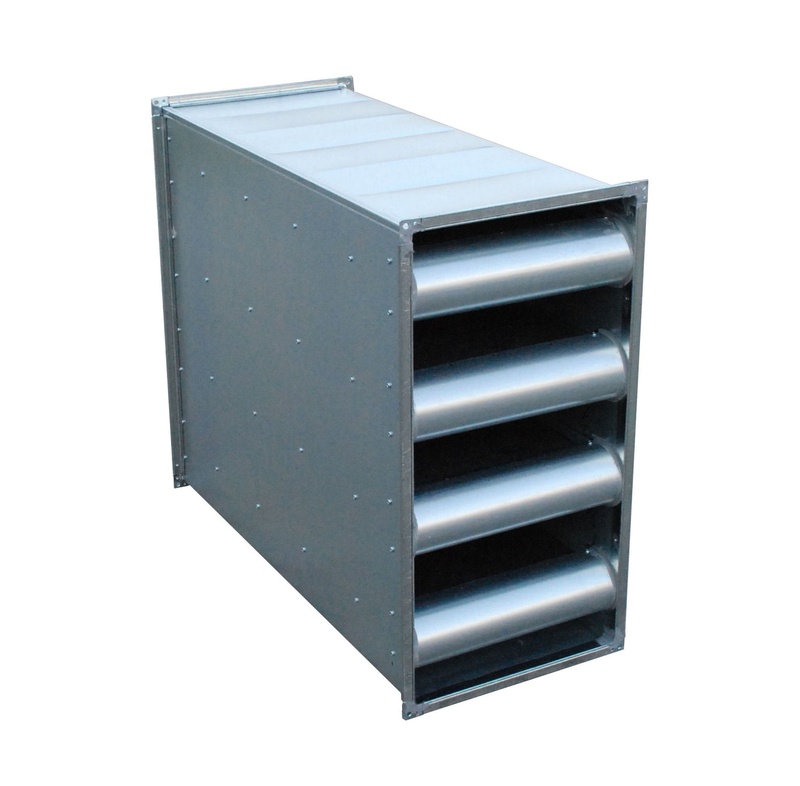 TP plate silencers are made as rectangular ducts with damping plates. 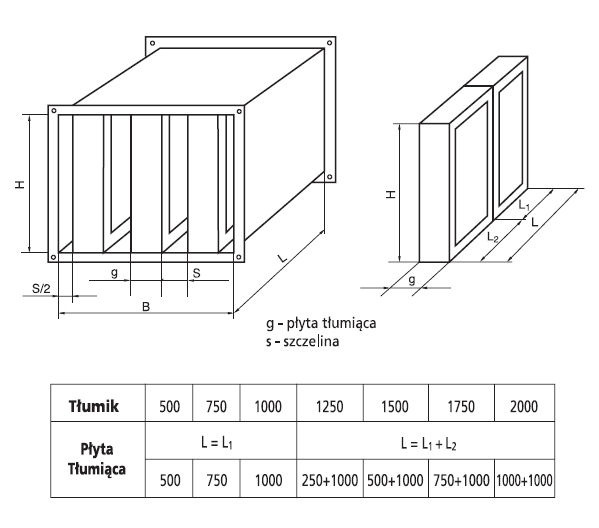 100/50 – silencer with 100 mm thick plates and a 50 mm gap. Designed for smaller amounts of flowing air. It demonstrates to a greater extent more favorable damping values. 100/100 – silencer with plates 100 mm thick and 100 mm gap. Due to the large flow area, it has a lower pressure loss. 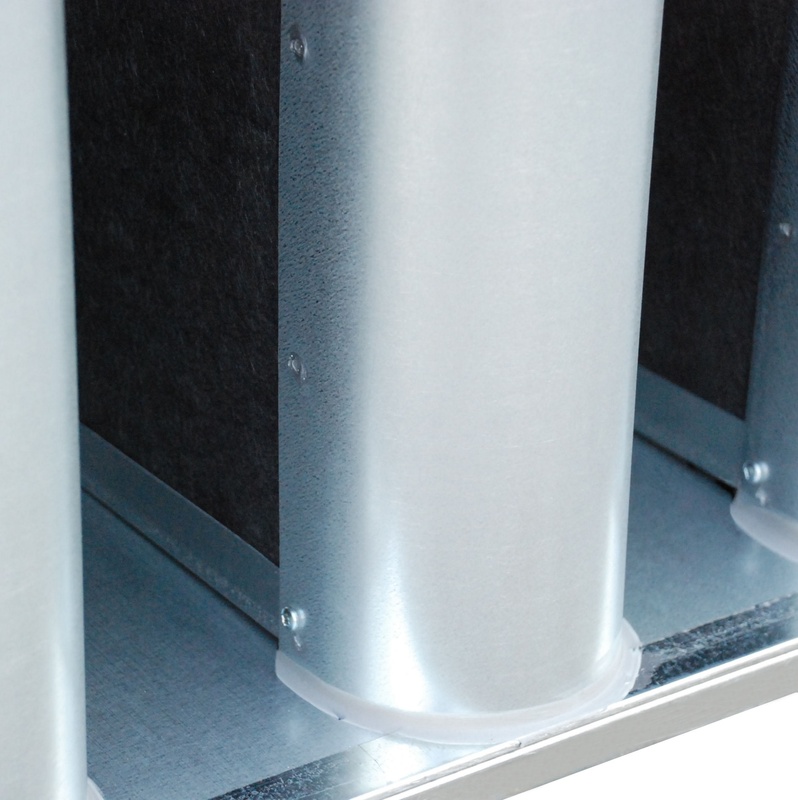 The silencer is made as a standard ventilation duct with inserted damping plates. The plate is made of a casing and several layers of mineral wool. The channel and plate are permanently connected to each other. The TP silencers are designed for operation at pressures from -400 to 630 Pa. When selecting a silencer, it is not recommended to exceed 12 m / s air velocity inside the silencer.